When - And How - Should You 'Track' Your Newborn? We got a question last week from a reader asking us about the best apps for tracking newborn feedings and nappy changes. To which my initial response was, “Apps? I used a yellow legal pad.” But then I remembered that was eight years ago, which might as well be 50 years as far as technology for new parents is concerned. Start tracking from the beginning. If you’re able to start tracking in the hospital, you get the goldest of stars; but realistically, aim to start tracking as soon as you arrive home with your baby. 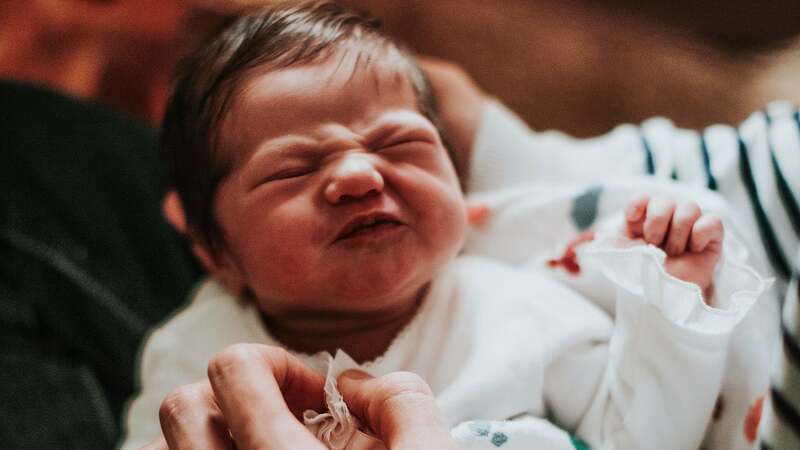 Typically, your baby will be examined by a pediatrician at the hospital within 24 hours of birth and then again at about three to five days old. Plan to at least track feedings and diapers for those first several days between visits in case there are any concerns regarding feeding, sleeping or “contents.” The pediatrician is likely to ask you how these three things are going, and in your sleep-deprived state, this is not information you are likely to be able to recall on the spot with any sort of real detail. At this appointment, ask your pediatrician whether you should keep tracking. If there are any concerns, the doctor may recommend that you continue tracking until the next visit. If all is well, you may get the all-clear to ditch the notes. Assuming all is going along in typical fashion, baby is eating decently and sleeping decently and there no concerns from you or the pediatrician about weight, decide whether you want to continue tracking. If trying to remember to mark down every last wet diaper and poop texture and ounce consumed is more work than your brain is capable of, then put down the notebook and/or delete the app. You don’t need One More Thing To Do right now. But if you’re the type of person who likes to track these things, someone who finds comfort in the routine of it, by all means, track away! Maybe it helps you to see a pattern emerge in the baby’s schedule or maybe you’re just a little Type A (ahem, that’s me) and tracking makes you feel like you have a tiny bit of control amongst the chaos. Track if it eases your anxiety; ditch it if it causes more anxiety. As I said, I scribbled down feeding times and ounces on a yellow pad that travelled from my coffee table to my dining room table and back again. It is both old school and effective, but I recognise that there are now apps out there that are way cooler (and that automatically travel with you to the pediatrician when you inevitably forget the notebook). Baby Tracker. This was one of the most popular suggestions in the group. It’s free, it’s straightforward, and those who used it were happy with it. Honorable mentions go to: Glow Baby and Feed Baby. My wife started using it to keep track of her pumping, but we were also using it to track if our newborn had slept enough and had enough food. Sometimes the thought hits you out of nowhere: When was the last time she was fed? And neither of us could remember. But I had a widget on the home screen of my phone which showed the information right there. Because our devices were synced, we didn't have to ask each other for handover purposes or anything either, which was handy. We naturally stopped using it when we had a comfortable routine and could communicate confidently with our daughter. +1 for Baby Tracker. Seamless updates across all devices. Only bit that irks me is not easily seeing how much was consumed at each feeding in the the overview chart. Our little munchkin has some reflux/protein intolerance issues so good to keep a track of that stuff with photos (albeit rank photos) and detailed notes for the paed.